If you don't have the book, click highlight of the book or ordering information here. 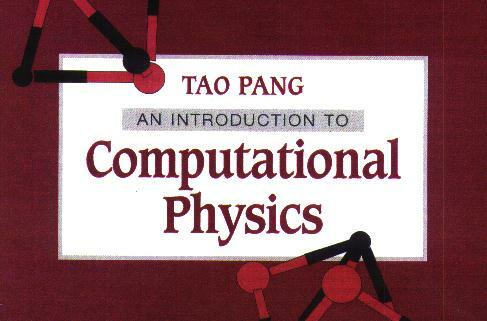 The materials at this site are created solely for the owners of the book, "An Introduction to Computational Physics," written by Tao Pang and published by Cambridge University Press. They are provided to help the readers to expand the capacity of the book, but not as freestanding materials. No warranties, express or implied, are made for any materials at this site. Items incomplete/unavailable at the moment will be completed/constructed in the future. Solutions of the Exercises (to be available).